When I was en route to Lima, Peru last year, I got stuck on an accidental layover in Mexico City (CDMX). Long story short was that my girlfriend and I missed our flight due to Aeromexico not issuing my friend’s boarding pass on our second connecting flight. We were then put on the next flight which was a devastating 8 hours later. First of all, I hate Mexico City Airport, and two) there is no way in hell I’m staying put in an airport for 8 hours. 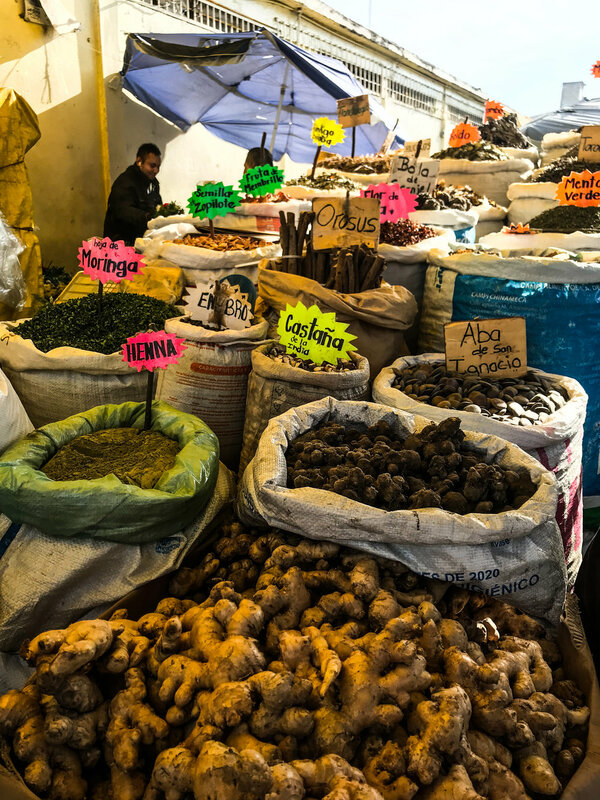 with a quick $50 CAD withdrawal, some shotty word-of-mouth directions and carry-on luggages in tow, we hopped on a local bus and found ourselves in the Centro Historico. That first glimpse into CDMX was awesome. I remember stuffing our faces with tacos, downing Mexican bulldogs, and on a forever hunt for horchata. We walked around the Centro Historico over a few hours, barely even spending the full $50 CAD I withdrew from the ATM. “I’d like to revisit this city”, I thought to myself. Fast-forward a year a bit later and I found myself in awe at what this marvelous city has to offer. From YVR, MEX is just under a five hour plane ride away – it’s just like going to YYZ, but better. CDMX is truly a metropolitan city and a sprawling city, at that. There are so many different neighbourhoods, each with its own character and vibe…which is also another reason why location is key. Since I was literally here for the weekend (took the redeye on a Friday and stepped foot into my office at 6:00am on Monday), being situated in central location was super important. But since the neighbourhoods vary so much, you might want to do a little research to see what you want to do and to spend less time commuting. Mexico City traffic is awful but totally fine on the weekends but keep that in mind if you are traveling within the week. I decided to stay at the JW Marriott Mexico City in the glitzy Polanco district. Polanco is known as the Beverly Hills of Mexico City. Lots of high-end shopping and restaurants, the Polanco district was very safe to walk around and also in close proximity to Bosque de Chapultapec. It’s apparently a 5-star hotel but it was also extremely dated, so bear that in mind. Nevertheless, service was excellent as they allowed us to use their spa facilities when we arrived super early in the morning and while we killed time before Teotihuacan opened which we were grateful for. Other areas that were considerably trendy that I would recommend would be La Condesa. This young and hipster neighbourhood housed some excellent bars and restaurants that my dad and I hopped around here and all within walking distance. Some of my favourites included Baltra Bar (excellent cocktails!) and Tierra Garat (it’s a chain, but a wonderful coffee and pastry chain). Uber – so easy and SO CHEAP. Honestly can’t go wrong here. Seriously, it’s just around a $10 USD Uber ride to MEX and around $30 USD one way to get you to Teotihuacan – over an hour ride’s away from central CDMX. Metro – also extremely easy and dirt cheap. Great option if you forgot to buy data! Teotihuacan – the great pyramids of Mexico! Did you know that there are pyramids in Mexico? In fact, Teotihuacan houses the third largest pyramid in the world – the Pyramid de la Sol. The entire temple complex is quite massive and you’ll need to dedicate atleast a couple hours of time to see it in its entirety. Pyramid de la sol, Pyramid de la Luna, and the Temple of the Feathered Serpent are the three main parts of the temple complex. I’d highly recommend taking a guide or perhaps taking a visit to the Museo de Anthropologia prior to visiting the complex as to provide some knowledge regarding the history of the Teotihuacan civilization. Museo de Anthropologia – such a well done museum! Vast and beautifully designed, this museum is an absolute must-visit when in CDMX. It provides a very thorough (yet approachable) stab into the history of Mexican civilisations. Very interesting – and happens to be free on Sundays with extended hours until 7:00pm! Castilla de Chapultapec – Otherwise known as the National Museum of History, this beautiful castle (the royal castle in North America!) sits atop of the highest hill in Chapultapec Forest, providing a breathtaking viewpoint of CDMX. Highly recommended! Mercado Sonora – I think this might be the largest and busiest market in CDMX (don’t quote me if I’m wrong!) but this literally went on and on and on! They have something for everybody here – killer taco stands to boot (get the lengua for breakfast before it sells out! ), housewares, pets for sale (which was actually really sad, because it was like seeing a puppy mill in person), clothing, backpacks, and typical Mexican souvenirs – all for dirt cheap prices. It was quite the spectacle to see as I visited right before Dia de los Muertos, so you can imagine all the cool Halloween and Dia de los Muertos costumes and decorations they had around. Centro Historico – The historical, or old, area of CDMX. Beautiful buildings, old cantinas, historical monuments… This is a great area to wander around in. Lots of great restaurants and patios around as well. My favourite is Av Francisco I Madero – gorgeous, pedestrian-only street which makes for great people watching or simply passing through. Bosque de Chapultapec – Or, known as Chapultapec Forest, this massive park is Mexico’s answer to Central Park, albeit much, much larger! The forest houses a number of popular museums, the zoo (it’s free entry! ), the lake, various street food stalls…and a lot of people, especially on weekends. I had so much fun strolling through Chapultapec! You might be pleasantly surprised (or terrified) at what you might find (ie. I held a tarantula and saw a person walking his lizard on a leash, true story). Basilica of Our Lady Guadalupe – This may only interest you if you practice the Catholic religion, but it is a popular pilgrimage because of the Virgin Mary was said to have appeared here. It’s actually quite interesting though – with the original building sinking and tilted to the ground and its new, modern reincarnation quite marvelously-designed and holding mass multiple times, daily. Tacos – This is obvious and so necessary. So many out there! My obvious loves are for tender lengua (beef tongue) and al pastor (pork) but feel free to venture out on ones you can’t necessarily find back at home in North America. I’m talking about ojos (eyeball) and brains. Definitely not for the faint of heart but worth a try! My favourite taco joint in all of CDMX (and you’d best believe I had a ton of tacos was at El Turix. Their tamales are also excellent as well! A surprising find in the frou-frou Polanco district. Blue Corn Tortillas – Not something to be eaten on its own, but if you ever have the option of white vs. blue corn tortillas, go with the blue! These are rarer to find and I bet that you will have a lot of difficulty finding this back on Canadian soil. Carnitas – The best taco filling you can find. Pork simmered in its own fat til the meat breaks apart easily. You’ll want this over and over and over again… Do it. Barbacoa – If you’re ever driving down the highway on the way to Teotihuacan, you’ll see the busy road lined with barbacoa stands. Typically, you’ll find a beef option that is spitfired in the ground and barbequed. Tortas – I’m not sure why tortas always fall behind tacos, but they are severely underrated! They’re just as common as tacos, it’s just as a popular street food as tacos, so why are they forgotten?! Tortas are a saucy, messy and meaty Mexican sandwich. Great for a snack, a meal, whatever. These are definitely not to be missed. Tamales – Up early in the morning and see the cute little Mexican ladies on the side of the road with these large, silver canisters? This is a tamale stand, folks. Fluffy, white masa filled with an array of filling, typically meat. Don’t forget the hot sauce! Mezcal – Okay, you obviously can’t eat this but you can still drink it! Mezcal, tequila’s sexier older brother, is like a fine scotch: peaty. There are lots of mezcalerias around the city. My favourite cocktail bar in the city is Baltra. Get the bartender, Daniel, to whip up something for you, mezcal or not – you will not be disappointed! Mole – Every Mexican has their own recipe for mole so no mole is quite like the other. A handful of spices and nuts, mole sauce lends a unique taste to chicken and pork. Traditional Cantinas – Not something in particular you need to eat per se, but it’s fun to visit a traditional cantina. It’s very oldschool, service is impeccable, casual and charming at the same time. It goes like this: order a drink and receive some complimentary food on the house. Keep drinking and more food comes! Pretty cool. My favourite one was one that Anthony Bourdain visited and loved because of its low key vibe: La Mascota. It is a short walk from major stops in the Centro Historico and a great break from the heat if you need! I’s a lot to pack in for a weekend but it certainly is doable! Mexico City’s warm weather, dirt cheap food, world class restaurants, and easy transportation make it a city I’d go back to in a heartbeat. Plus, it’s another excuse to allow me to practice my espagnol. Could this be my new weekend stomping grounds? It just may be.